To stay in business, the companies make sure that they attract and engage the customers in a way that they become loyal to them. There are a lot of ways used by the companies to improvise in their customer management techniques and some of which are extremely successful. One of these ways is the lead nurturing campaigns. In the below article, we are going to know how companies use lead nurturing campaigns and how the lead nurturing has a huge impact on the drip email creation strategies. Additionally, we will also get to know how prioritizing the leads are influenced by lead scoring. Basically, with this article, we want to help the readers to bring an improvement in their lead nurturing strategies. Every marketer needs to know these principles of lead scoring and the lead nurturing. Here you will get an in-depth knowledge of these topics and also a new perspective on them. Prior to that, let’s first go over some commonly asked questions. What is the need for this article on lead nurturing, lead scoring and drip email, when there are so many other articles written about it already? I found that all the articles given on the internet are either too basic to explain the complexities of the topic or complex for the common people to understand. However, even if someone can find good content written on lead nurturing, lead scoring and drip email marketing, there are a few things that I would like to add, and I feel are missing in them. What is the need to talk about all the three topics in just one article? Why not write three separate articles for all the three topics? The reason we are talking about all the three topics in one article and not writing three different articles is that all these topics are interlinked to each other. All these topics combine as a marketing strategy that is used to attract, engage and convert the customers. So, if we spoke about all of this in different articles, this would have ruined the continuum of the whole learning process. Since lead nurturing is the how you communicate, lead scoring is the strategy, and the drip emails are the way to communicate with the customer. Why is there no case study in this article? The reason for not attaching a case study with the article is that the article is already very long and if I go on attaching a piece of a case study with this, it will become longer and unable to read. Hence, the case study has been kept for another similar article on this topic. However here we need to focus on the topic and understand it thoroughly. Let us start by explaining nurturing and everything related to it in the simplest possible way for you to understand and take note of it in your life. What is Lead Nurturing and Customer Nurturing? When you use inbound marketing strategy, you start generating leads. These leads need attention and enough resources throughout their buyer’s cycle to move ahead in the sales-marketing funnel. For this nurturing, you need marketing automation strategy in place. Inbound marketing will just fill up the top part of your funnel and help you identify the qualified leads. What follows next is rigorous marketing campaigns. PS: Inbound marketing strategy and marketing automation all come into play only after you have generated a certain number of leads. All I am saying is, trying to implement these strategies when you have zero leads is like drawing patterns on water. You need to have steady influx of organic leads initially. In other words, first priority is to work on your SEO and keyword rankings. Apart from these general definitions, in the marketing terms, nurturing can be explained as- The process of continuous communication with the customers all throughout their time with the company. Lead Nurturing is a process of communication with a potential customer in the hope that they will become a permanent customer of the company shortly. This is the type of interaction that takes place between the Customer and the Visitor stages in the customer lifecycle. The visitor stage is the initial stage, and the customer stage is the final stage. The people working in the marketing team are the ones that are responsible for lead nurturing. Another term that needs an explanation here is the ‘customer nurturing.’ So just like the lead nurturing, customer nurturing is the process of communication and interaction that takes place when a person turns from a ‘Customer’ to a ‘Loyal Customer.’ So, all the efforts that the company put into the customer to turn them loyal towards the company’s needs are Customer Nurturing. However, even though lead nurturing is a one time process, customer nurturing has to be continued all throughout the time you want the customer to stay loyal to your company. What is the use of nurturing strategy in ensuring growth? In elementary terms, nurturing means the communication with the customers to make them a prospective customer and then an open discussion with the customer to keep them loyal to the company. So, any interaction that is done with the presence of the potential customer is Nurturing in one or the other way. Nurturing has been used in the marketing for ages and has been one of the most successful techniques of customer interaction, attraction, and conversion. One of the best examples of this is the business story of Joe Girard who is considered one of the biggest car salesman in the world. Joe did nothing special but sent over 13,000 greeting cards a month with the help of his assistant to all his potential customers. He alone sold 13,000 vehicles in a span of 15 years from 1963 to 1978. Joe Girard sent out greeting cards for almost every occasion in a month, be it Halloween or groundhog day. If we look closely at Joe’s strategy, he was nurturing the leads as well as nurturing the customers. Even though the concept was not that prevalent in his time, he thought of it and realized that if he had open communication with the audience or the customers, it would build loyalty and also increase his customers. Additionally, the best publicity is word of mouth, and his loyal customers were giving this publicity for free. He made sure that every person in the vicinity of his business got a greeting card. Sending a greeting card was a safe bet since he did not have to go and talk to the customers himself and also, he was always in the back of their minds every time they thought of buying a car. This strategy although not explicitly planned by using the principles of nurturing an involved all the rules and the steps. The software companies that we are focusing on in this article are obviously different from a car dealership. However, the common thing is that there has to be an interaction with the human beings in both the cases. Hence, we can say that Nurturing has been utilized ever since the 1960s or even before that. Also, we here do not mean that Joe was the one who invented nurturing or was the first person to practice it. As per our assumptions, Joe did not even realize that he was nurturing the customers by the act he was doing to attract them to his dealership. Many possibilities made the customers come to his dealership apart from the card. We highly doubt that Joe could have himself told that the customer came to him by looking at his card or because of the simple fact that he was the only dealer in the town that had a good card or whose name was easy to understand and recognize. With that said, we are sure that you have understood that Nurturing is not just one term and is broad topic to consider. 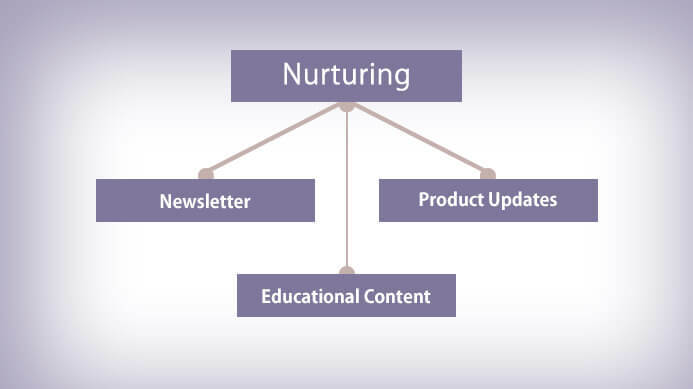 Splitting nurturing into two smaller terms such as the Lead and Customer nurturing can help the companies have much-organized marketing activities. Additionally, if both these things are applied separately into a marketing strategy, it becomes easier for the organization to set up a plan and target all the customers in one go. Hence, this also helps the organizations understand that the process of nurturing is an ongoing process and cannot stop just at the lead nurturing. Some examples of the nurturing events and campaigns by the companies are sending greeting cards, surveying the target audience and also community events hosting. In addition to this, many more nurturing events that target the audience all throughout their time with your company should be a part of the marketing strategy. Now let’s come to the next topic which is lead scoring. This is the next significant step in any marketing plan that a company should have to ensure more and more customers and eventual success. Here we have tried to explain lead scoring in the simplest way possible for all our readers to understand and inculcate in their businesses. What is the strategy and design for Lead Scoring? Let us start by defining the term ‘Lead Scoring.’ So, lead scoring is the process of giving a particular score to each prospect customer on a variety of things such as their behavioral data, profile, etc. This is done to improve close rates, prioritize leads and decrease the buying cycles. Lead scoring is a process that works hand in hand with the lead nurturing. So, if by lead nurturing you interact and communicate with the prospective customer and improve the chances of converting the prospective customer to a regular customer, combining lead scoring with this can be helpful. This can let you know how efficient and effective your lead nurturing is and also how much should you prioritize a specific lead. The growth stage of the company is directly proportional to the lead nurturing structure and strategy. Since we are taking into account the SaaS and enterprise companies in focus in this article, the lead scoring is not as important for the development of the company at every stage. However, it is important at some stages of the company development. Early Stage- this is the start of the company when they are trying to fit into the market and get new customers. Growth Stage- This is the stage when the company has set its foot in the market and set up the customer base. This is when there is growth in demands and scaling processes. 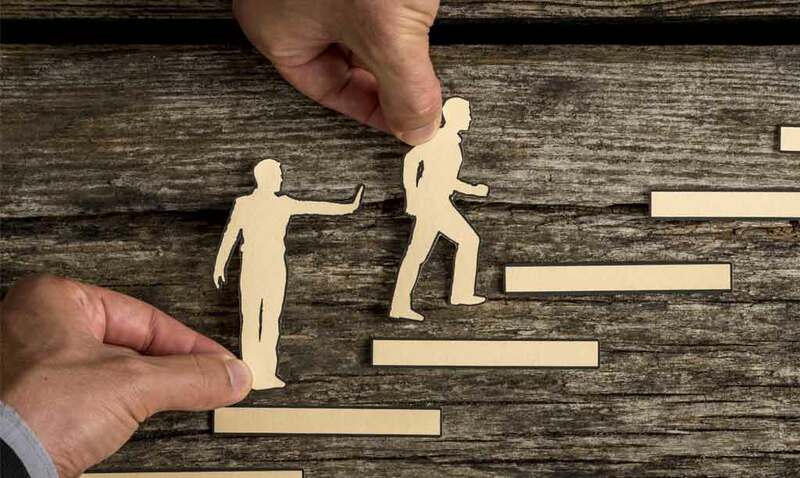 Maturity Stage- The maturity stage is when the company is stable in its earnings and business, and all that is looked into now is increasing efficiency and optimization. For the companies that are in the early stage of their development and are only looking to fit into the market and establish them, lead scoring is not a big concern. This is the initial stage of development, and in most cases, not more than one or two leads are attracted towards you. In this case, it is really easy to keep track of all the leads, and you do not have to prioritize a customer against another one. However, the only thing that has to be used in this stage is a basic user tracking system. This is helpful in providing you with the information about the prospects and their behavior before they purchase with you. This can be used as the research data when your company moves away from the growth phase, and you can easily optimize lead scoring. So, the only task for you in the early stages of your company is to track the actions of the users and make a note of this data. This is helpful in the later evaluation of the user behavior. This also helps in designing the nurturing campaigns and also designing the action plans for the company’s marketing plans. Since you will have some information about the data by the time you start creating these plans, hence you and your team will not have to make guesses. At the growth stage, the lead scoring is used and tested. This is the stage when the company has set itself in the market and is looking for more and more leads with the passing time. This is the time when everything in the company starts to grown, and there are higher demands. Hence at this stage, all the leads that have the urgent needs to do business with the company need to be distinguished from the leads that need to be nurtured and educated. Hence at this point, the lead scoring has to be done very carefully since the company is at a very crucial stage of growth. For the companies that are in the growth phase, the lead nurturing is also a very specific process and has to be done in numerous ways. It can start from a one to one conversation with the client and later on change to a drip email and much more. So, the communication is precise and, in a way, that it makes the customer a loyal one to the company. Let’s take an example of an early stage company. At this point, for every prospect that signs up, there is going to be a single drip email campaign for everyone. However, at the growth stage, it becomes important for the same company to have multiple drip email campaigns suitable for each kind of consumer. These might include the influencers, the decision makers, community-specific institution and much more. Since every buyer is different, every buyer needs to be approached differently. At the maturity stage of the company, the nurturing and lead scoring plans become smoother and well designed. Since the company is now stable and is generating revenues in a continues manner. It is important to have a plan that works well for the current consumers and also for the prospect ones. The biggest advantage at the maturity stage is that the company has much more data that can be used to conduct a pattern analysis of the audience needs and how to take that need and convert it into profit. Here we will discuss two new terms in the Lead Scoring category, FIT and PAIN. 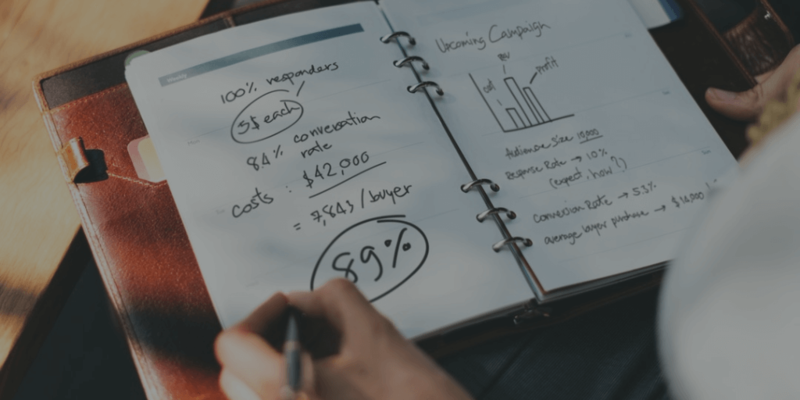 However, before we start to discuss them, it is important to remind ourselves that the main objective of lead scoring is to improve close rates, prioritize leads and to decrease the sales cycle. With this let’s move further. As per the State of Sales Productivity Report given by Docurated, the only time spent on selling by a sales representative is 32% which is less in comparison to what it should be. This is even lesser than 1/3 of the total time spent by them in selling anything. Hence if the productivity in the sales in increased, it can be very effective for the companies to hit new revenue targets. Lead scoring- one of the most important strategies for improving the revenues of the company and also in increasing the sales. This is done by making the customers that have a higher CLV, i.e., Customer Lifetime Value a priority over the other customers. The prioritization helps the company in keeping the customers and also making sure that the resources are effectively used. Hence with this, the company can ensure that most of the time of the salespeople is spent with the prospective customer that is surely going to purchase from the company. The book –The Sales Acceleration Formula by Mark Roberge states that FIT and PAIN can easily do the analysis of the inbound and the outbound. The pattern to recognize the outbound sale is first to find a fit and then see the Pain, and the pattern for the inbound sale is that it first identifies the pain and then sees whether their leads having this pain are a fit for the company. The inbound lead is directly proportional to the lead prioritization and scoring. This means the higher the inbound lead number, the higher is the prioritization. If this is not followed, the team will be wasting their time chasing the leads that are not going to bring any profit to the company. This will eventually lead them to miss some of the biggest opportunities, and hence you will incur a loss in the business. Is the prospective customer a perfect fit for the company? Is the prospect financially stable and can pay for the goods and services of the company? Will the prospect be implementing our products? Does the prospective customer have the required pain that our products give solutions for? Is the pain significant enough in comparison to the other pains in the life of the prospect? The concept of FIT and PAIN are the two measures that are required for a person to find out the perfect lead score. The possibility of the prospect being a perfect FIT for the company combined with the PAIN they have led to the actual determination of the lead score. The most important thing to makes sure that the productivity of your company increases is to determine a system for a proper assessment of the FIT and PAIN score and only then can you determine the correct lead score that can help you. Now we will be discussing how you can design your lead scoring system to increase the productivity and to bring new leads to your company. The first way and the most common way are to use the numerical values. In this system, 3-4 columns or buckets are divided, and the leads are divided into these. The division is done according to the score that is provided for each of the leads. Let us take an example. Say there is a company that is dividing the leads into two bases; one is how they interact with the company website and products, and the other is on the bases of the customer profile. So now the company divides all the leads based on the points into four categories A, B, C, and D.
With this system, it is easy to understand the possible fit customers for the company. The lead A in the above case is SDR ready. Hence this is the only thing that we can determine with this system. 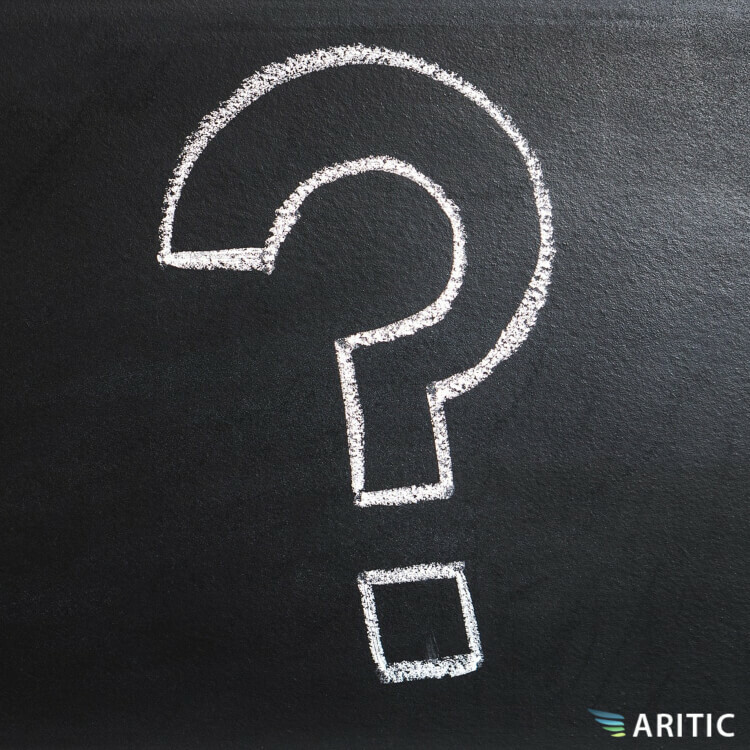 However, this system does not let us determine how the approach can help us determine the difference between the B, C, and D. This leads to a lot of confusion while creating a marketing plan. Hence to make the things a little uncomplicated, a more complicated process is applied. In this creation of the two separate scores for both the profile data and the behavior of the customer data is made. Then both these data are merged to form one table that is similar to the above one and then the prioritization is decided. This is a much better way and also does not create any confusion amongst the employees. Hence instead of breaking the leads into four categories or giving them labels, this is the best way to go about. The numerical value that shows how close each lead is to the SDR ready score is what needs to be taken into consideration. People might argue with the fact that breaking down the scoring into four categories helps the company in determining the progress of the lead towards the score. However, this is not at all practical and is making the things more complicated. The score finding is already a difficult task and then dividing them into four categories is a waste of time and also efficiency that could have been used somewhere else. This does not create a problem in the lead nurturing of the companies however the lead score is never appropriately determined and always comes out to be far from the optimal score. Just to remind again, the target of lead scoring is to improve company’s lead nurturing and identifying the potential customer. Hence the lead scoring should be progressive that means anywhere between 0 to infinity. With each progress in the score, the lead keeps on moving closer to the SDR qualification. What is SDR-ready? How to Select an SDR-Ready score? We have been using the term SDR Ready quite a lot in the above discussion, and we would like to explain what it means and what is the importance of its calculation in this section. The determination of the lead score is done by finding out the FIT and PAIN scores. So, the SDR or a target is a score that determines that a lead or a prospect has reached to a certain FIT and PAIN level so that it can easily qualify and be forwarded to the SDR team. This lead is then taken cared by the SDR team followed by strategic analysis and processing. For all the beginners that are new to the concept of lead scoring all you need to do is analyze all the patterns that the users are following before buying the product that your company is offering. So, your lead score should be anywhere between 10% to 15% of the close rate. In simple words, 10% to 15% of all the leads that are being forwarded to the Sales Development Reps should close under one average sales cycle of your company. The best part is that your SDR team can experiment with the SDR ready score to find out whether there is a chance that the team can work in the direction of closing more deals by applying various methods such as communicating with the prospective customer a little earlier to the buying. This can be done by reducing the SDR ready score to less than 10%. If this does not happen and the SDR team is not able to arrange a follow up with each lead within the 48 hours of the cycle, you should consider increasing the SDR ready score to more than 15% that could be from 15% to 20% in most cases. The SDR score and the probability of the consumer to close are related directly, and this relation is very important. This can show the efficiency of the SDR team. If the probability to close of the leads is below 10% in one sales cycle, this means that the SDR team is not working efficiently and not nurturing the leads properly. Similarly, if the SDR ready leads are showing the closing above 20%, then there is a possibility that you are not working hard enough and the company is not growing as properly as it should grow. This can easily show whether you need to make changes in your plan or change the SDR team altogether. Each company is different, and each company’s SDR ready scores are different from the other. To get the process right from the starting is a hit and trial process that involves a lot of failures. Hence to get the process right, a lot of testing and experimentation along with optimization is required. SDR Ready Means Lead Score that has the probability to close that lies in the range of 10% to 15%. 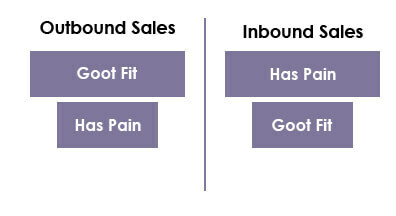 Hence FIT and PAIN are the two main factors that derive the lead scoring in every company and every scenario. The profile data or the demographics of the prospect are really important in deciding the total score. The best way to determine the prospect score is to determine it when the customer signs up or just enters the CRM or marketing automation. The first question that needs to ask is whether the email address of the lead is personal or a corporate email address. The score of a corporate email is higher because this means that the communication with the prospect is done on a corporate level and it’s not just a single person involved. The title of the prospect is usually unknown at this level. However, if you do get to know the title of the prospect, you should see whether the prospect is a VP or a higher level official or just a lower level one. The higher-level officials are always given more score since that have more power. In addition to assigning the score, the title of the person also lets you determine what position does the person held in the determination of the buying of the product. Depending on the cost and the function of your product, there are some people in the company that can be eligible to buy it. If the product is really expensive, there is a huge possibility that only the higher-level officials will be able to buy the product. However, if the product is cheap, it can be bought by anyone. Hence, to accurately analyze the situation, it is important to check the Drip Email Campaign and see what the email is referring to. Location of the lead is important because if the lead is from a different country, there is a possibility that you will not be able to serve him. There are only a few companies that sell to the customers all over the world, and the international market has a lesser profit potential than the local or the national one. Hence there is a chance that the clients from foreign locations are scored lower than the others. Every company has some companies that they possibly target while selling their products. So, if you can get the name of the company that is the possible prospect here, it is possible for you to decide the score for it easily. If the company is a big company, it should be assigned a higher score, and if it is a company that is not on your list and is not as famous, a lower score is given. If a company that you have been targeting has come to you for business, there is a huge possibility that they saw the message in your outbound communication. The size of the prospect and the company is another very important factor in determining their score. The company’s size determines that potential to buy and do business with you. If your products are on per person bases, you can easily determine the potential business profit that you can have from the company if you somehow know its size. The software companies can use some technology to determine the income and score the prospect depending on that. Scoring the prospects by the profile data is much easier since these are all known facts that cannot be changed. However, scoring the prospects by the behavioral data can be a little more complicated. This is quite complicated because there are lots of behavioral characters. Additionally, the profile data is stored only at the signup stage. However, the behavioral data is analyzed after lots of observation and monitoring regularly. Hence the determination of the behavioral data is a long process and needs constant communication and regular checkups. Although there are data enrichment solutions that the SaaS companies usually use to determine the profile data of the prospects, there is no such software that can be developed to determine the behavioral characteristics of a person. This needs to be done manually and requires a lot of work. You can find some products that can help the SDR team track the interaction between the user and the product; however, there is no way that the company can find out the connection of the company and the product interaction along with the closed deals. Let’s dig in a little more into the term ‘product engagement.’ So as the name suggests, the product engagement actions are the ones that are taken by the customer inside your product or the services that you have provided. 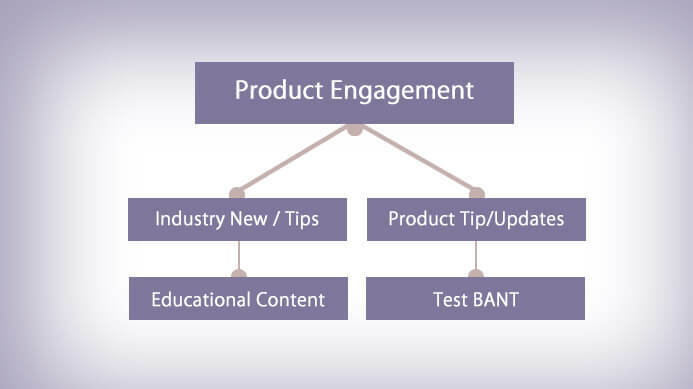 If we were to know which of the following product engagement and nonproduct engagement data is more important, project engagement would win hands down. All the interactions that are product related always have the most impact on the probability to close than the other nonproduct related data as it is seen in most of the cases. The customer completes the core actions of the product. The customer comes back to buy your product. As the name suggests, the Non-product engagement actions are the ones that are only done on the things outside the product. This means that these actions are on all the things that do not relate to the product. Since these interactions are not about the product, it is obvious that the interactions do not matter in the probability to close cases. The user registers for a web seminar. The user visits the website to look at the FAQs, pricing information and other important details of the documents. The user downloads industry research or a white paper. However, it is not always smart to avoid giving a score to the user that has indulged in the nonproduct engagement as small as opening your website. These actions by the users are usually very little time consuming and are usually done randomly. The more interest a user takes in engaging to the product, the higher is the rate of time investment he is planning to make on your product. The major goal of the company is to design the drip email campaign in a way that it brings the prospect back to the product and convinces him or her enough to take some interest or action and even buy the product. When to Start Tracking the Customer Interaction with Your Product? The most important rule is to start tracking the customer interaction with the product as soon as possible. This means that as soon as you see any customer activity on the product, start scoring them accordingly. As per the discussion above, we saw that lead scoring is most important in the growth period of the company when the company has established a market fit. This is the time for the company to find the audience for its product. The best part about tracking the customer interaction early is that it can be really useful in the future engagements. When you, later on, start deciding the lead score, this data will be very useful in the determination and the analysis of the customer’s engagement with the company. The second-time scoring is the re-scoring, and the faster the re-scoring takes place it is better for the company. Since this saves time and helps in the timely target outreach by the SDR. Let us take an example of the RapidMiner. Their lead scoring is so fast that it happens overnight. This helps the sales reps get the information early in the morning so that they can contact and communicate with the customers the next day. This helps them in analyzing how they can reach out to the customer and hence offer them all the resources that they might need. The goal for each company should be to reduce the time for the re-scoring as they keep developing. What to Do in Case You Have All the Required Data for Machine Learning? If you have all the data that is required for machine learning and you have extracted it using the regression analysis and correlation, you can promptly analyze the engagement of the prospect with the company and calculate the probability of them is becoming a permanent customer. This data can be very useful for you to create a list of various actions of the customer from lowest to highest probability to close. If the data that you have extracted is correct, it can help in determining the SDR-ready score of the prospect, and you would not need the behavioral score. For Example: if your product is designed for the HR and you see that the VP of a big HR has signed up for the product but has not shown any activity inside the product. However, rather than waiting, you’d want to know about the prospect soon. You would want to make a follow-up call to the prospect depending on their lead score and LTC. However, only 5% of the lead scores come close to or fall in the range of the SDR ready scores. If the prospect who is the VP of a big HR company has a 100% and also belongs to the company that you are targeting, you should give him a score and also follow up. If we use Pandadoc as an example of the good and bad behavioral scoring; created document, free trial signup, login and the signed received documents come under good behaviors. However, the email clicks, website visits, and the keywords come under the bad behaviors scoring. The first step is to analyze all the actions that you have recorded by the activity of the prospect on your website and also on the product. Combine this analysis with the profile data that you have of the prospect. Then find out all the factors that might be helpful in determining the closing the deal with the customer. Make probability to close a priority. After you have made an analysis, check the actions that have the probability to close and make them a priority. Now for every action, the prospect does on the website or the product, score them according to the percentage of priority that has been determined by you. For example, if the prospect creates a document on your website or app and if it increases the probability of buying by 25%, give him a score of 25. Hence every lead that does this particular action gets a 25-plus score. Let us consider a prospect, say A who has signed for the free trial of the product that you offer. This gives the prospect a high lead score. Now the prospect does not engage in any activity on the product apart from getting to the dashboard. However, after a couple of weeks, the prospect returns to the product again and engages with the product. This gives him/her a high score, and they come in the SDR-ready list. This is the second prospect, say prospect B. The prospect B signed up for the free trial and after some time became an active user by completing all the actions. This, in turn, made you deliver the 1st unit to the customer. The prospect B also got a high score and reached the SDR-ready list instantly. The only difference in both these prospects making their way to the SDR-ready list is that the prospect A did it in two weeks whereas the prospect B did it just within 24 hours of signing up. Since the velocity to close of the prospect B was much higher than the prospect A, this shows that he is experiencing more pain and is in need of the product more than the prospect A. Hence this means that this person requires more priority and faster response from the SDR team. The first and the last touch attribution are the two things that have been discussed a lot on various levels. There is so much information about these given online that it is enough for anyone’s knowledge. However, for the people who do not know, let us start with defining the term Attribution. So, Attribution is the process in which the actions of the users are identified, and their impact on the desired outcome is calculated. Here, the being SDR-ready is the desired outcome of the attribution. We often forget that the analysis of the pattern is the most crucial aspect to consider instead of worrying about the attribution of the first and last touch. So, it is important to note that the pattern is the most important aspect when it comes to determining the customer buying pattern. Let’s take examples of athletes; more specifically a track athlete. What is the factor that is the most important for an athlete to become an Olympic champion? There is not just one thing that is involved in this process. The small rituals and habits before or after the race can be determinant in some cases however in most cases are the rigorous practice and the long period of training that makes an athlete an Olympic champion. The regular pattern of things is what leads to the eventual success. Just in the case of the car salesmen Jor Girard, the only thing that mattered was his consistency that leads to his success. It does not matter what number or card was that affected the customer; it was the fact that he did not stop sending them cards for a long period what affected his sales. 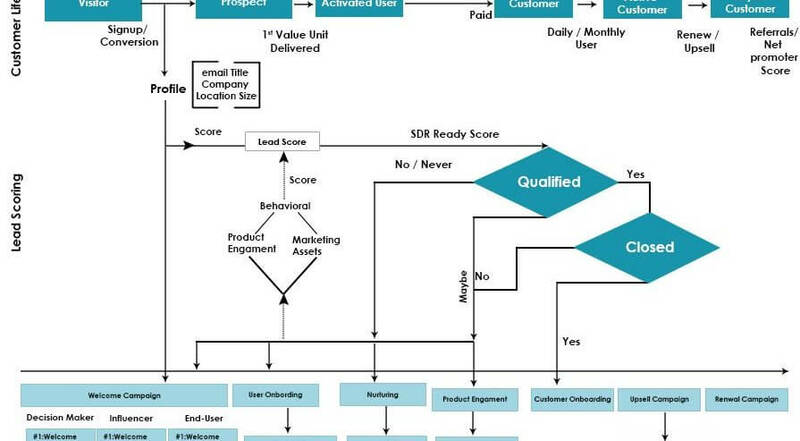 Below you will find everything there is to know about reaching the SDR-Ready score, and your actions after a customer reach an SDR ready score. When does a lead hit the SDR-Ready Score? This is an obvious question that might arise in mind as to what after reaching the target score? Well, the answer is simple, whichever prospect or lead reaches the SDR score, the SDR team arranges a follow-up with the lead in the nearest possible time. Now, this is the duty of your company and the team to decide when you want to reach out to the lead and how quickly do the process happen? This depends totally on the efficiency and the effectiveness of the SDR team. The most common way to go about is to contact the lead within 48 hours of them hitting the SDR-Ready score. Additionally, some companies also develop rules for assigning the leads to the SDR team and who gets to handle whom. However, usually the leads are assigned randomly, and any company official gets to handle any lead. For the person who is qualified by the SDR team, there is a long process designed. The profile is now sent to the Accounts department where the sales process is carried out with the customer. Once the qualified lead buys the product from the accounts section and becomes the customer with the company, they are shifted from less nurturing to customer nurturing section. In this section, all the process take place to make them a permanent customer with the company. This is the time to start the onboarding drip email campaign. However, if the customer does not make a purchase and does not become a paying customer, the lead should only be put on the product engagement drip email campaign. There is a possibility that they might become a paying customer shortly and you do not want to miss this opportunity. So, keep then engaged in one or the other way because it is not smart to completely abandon a prospect that has a high SDR score. In the case where the prospect reaches the perfect SDR score but does not qualify s a positive prospect by the SDR team, then this prospect should be immediately moved to the never bucket. This customer has Low PAIN and is a bad FIT for the product hence the chances of him buying any of the products are lower than any other lead to buy the product. However, since they got a high SDR score, you can still opt to send them drip emails. All you can do is try to convert their mind towards your product and make them your permanent customer. However, this is highly unlikely. The people that come under the maybe category by the SDA team are the one that can be a potential customer but is not suited for the product right now. These are the people that are put under the drip email, and constant contact is maintained with them. This case occurs if the lead does not want to buy the product right now or has some other problem, however, there is a solid chance of their PAIN to increase shortly and that they might buy the product from you. How is it possible for Bad FIT and Low PAIN to reach the SDR-Ready score? The next obvious question is the lead is a bad FIT and has low PAIN then how is that they got the high SDR ready score. The possibilities are many. No system is foolproof, and hence there is a chance that this might accident happens. There is a possibility that some big company VC or startup might be doing some research and accidentally got a high ADR ready score. Since the companies and the people at higher positions are scored high, there is a huge possibility of this to happen. The probability of this mishappening is about 5% of the total leads generated. Many terms are associated with the lead scoring, and the static and predictive are two of them. With static lead scoring, we mean the lead scoring that is done by keeping in mind the statistics. This is what we have been reading all throughout the article. However, the business world keeps changing and depending on one kind of approach can be limiting. Hence, another lead scoring that can be used is the predictable one. This is helpful in the case when the company is getting the lead scores in huge numbers, and the number of factors for each lead scoring keeps on increasing; you need to predict some things to simplify the process. Lead Scoring- Biggest Mistakes People Make? As we had already mentioned that lead scoring and nurturing are two major part of any SaaS company and their marketing strategy. However, these are complicated processes, and the people keep making mistakes while planning for them. This leads to the wastage of time and company resources. Here are some of the major mistakes people or companies usually make while lead scoring. One of the major mistakes the companies make is that they take many factors into account while calculating the lead score. This does note but over-complicate the process. Having 10-15 factors of engagement is exaggerating everything. Hence taking into account only 15-20 factors is the perfect way to go about. Another one of the major mistakes that the companies usually make is that they do not see how the consumers are interacting with their products. Lead scoring should be easy and only then can it be the perfect scoring strategy from the beginning and last till the end. If you have an overcomplicated lead scoring process, it will not only make the process more time consuming but also makes it difficult to get the accurate lead value. Personal factors such as intuitions gut feelings and personal experiences do not count in front of things like numbers and facts. Hence to have a perfect lead scoring, it is important not to consider these characters. Let’s come to the Drip Email campaigns which are the last part of this article. A drip email campaign is a campaign that is set by a company which involves a definite set of automated emails that are sent to the prospect consumers and come under nurturing the customers and the leads. We all have received a drip email at some point in our lives. The importance of drip email in the lead nurturing and scoring is huge. There are a variety of drip email campaigns such as- welcome drip email campaign, transaction-based drip email campaigns and much more. One factor that is extremely important in the drip email campaign design is Segmentation. Designing a drip email campaign that has no purpose or goal is not worth the effort you put. Hence segmentation is required. A drip emails are the basic requirement in lead nurturing and lead scoring. Here is how a prospect drip email campaign design looks like. However, each company and its products have a different campaign, and hence each company needs to make some or the other changes in their lists. As the name suggests, a welcome drip campaign is the one that is started the signup process and helps the user get accustomed to the company. The user onboard drip campaign is when the user becomes an active and paid member of the company. In this campaign, the user is helped throughout with the product with active emails. With the user on board drip campaign, the user is told about all the uses of him using the product and how he or she can make the most out of it. The nurturing drip campaign is to help the user in getting a high SDR ready score. This is also done to make the user sign up for the free trial. This is usually for the prospect users that the company thinks are suitable to become an active customer. The product engagement drip campaign is to encourage the users to use the product. This is especially for the companies that provide a free trial. This helps them make sure that they bring the product that the customers are using for free shortly. 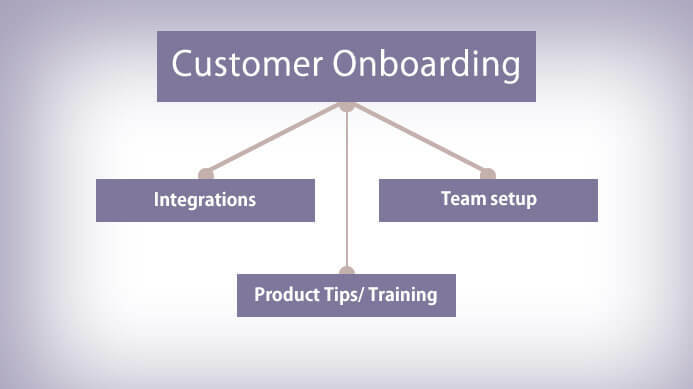 The customer onboarding drip campaign is specially designed to make the customer accustomed to the product. 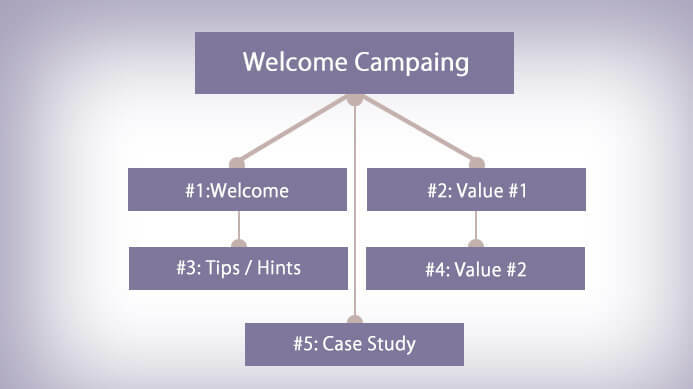 This means that the basic motive of this campaign is to guide the customer through the onboarding process. 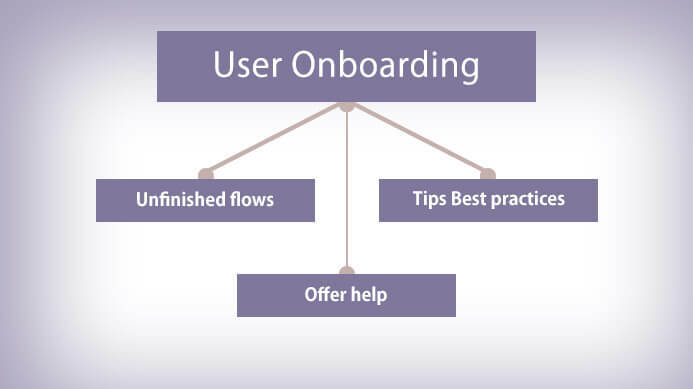 If the products are not very costly and are sold randomly, then a simple onboarding campaign will work. However, if the product is highly priced, you need to create a personalized onboarding campaign. The transactional drip campaigns are designed to help the user in a variety of processes such email verification, to receive an invoice, reset the password and much more. Since the drip email campaigns are really important in the lead nurturing and lead scoring, a proper analysis of the user activities should be done before sending out any drip emails. Although the above categories of the drip email are the major factor in determining the drip email strategy, the segmentation is also a big factor. Both the drip emails and the lead scoring are very complicated processes, yes. However, these processes take time to build and do not just take place all of a sudden. You might need the time to build both these into their full-fledged forms from the starting of your company. The segmentation of the drip campaign is helpful in getting the leads to engage with the company and the product and eventually increase its lead score. The two things that should be kept in mind while designing a plan for the segmented drip email campaigns is the relationship between potential upside and effort. So, the way to go about is to be starting from small and simple numbers and then checking the impact of segmentation on the engagement over time. In many cases, the companies spend much money on the segmentation to find out that it was of no use. Just like the nurturing and lead scoring, segmentation is also a very long process and might require much time for you to get the hang of it. Hence it is important to start small and not invest a lot of money into deep segmentation. The immediate question is- how to start segmenting drip email campaigns? If your company sells products that are more complicated and target to a variety of audience, then it is ok for you to have a segmented campaign. However, the needs of the segmentation can only be determined with time. Moreover, in the early stages, it is really helpful for the companies only to have a simple campaign. The companies that have complicated products and are in the growth stage can try opting for segmentation that is based on vertical markets. The mature companies have a choice. Since these companies know everything about their market, consumers and the products, they can opt for the segmented drip email campaigns. The only thing to note is that it does not matter how many segmentations there are possible for a drip email campaign. If your product does not require it, there is no point in opting for it. However, if your product does require a segmented drip campaign since it is designed for a wide variety of consumers, it is only fair to start small and then go slowly about it in the future. Do not forget; it does not matter how many types of campaigns you can set, what matters is that you have to reach out to your customer. It is much better than you keep it as simple as possible. With the help of latest and effective lead nurturing, customers can be converted into lead.. Turning the first-time customers into leads can only be possible with the help of lead nurturing. Thanks a lot for updating the blog about it. Thank you for sharing this useful information with us. I agree with the points you mentioned. Keep up the good work. Lead nurturing is one of the beneficial factors which can help you serve your customers in a significant way. Thanks a lot, Ankit for sharing the article. Lead nurturing is a practical task which can help you nurture more customers and convert them into a lead. Thanks a lot for updating the article. In this article, it is clearly explained that lead nurturing is essential to keep customers informed about your brand and getting reviews at everyone’s fingertips. If you want to be ahead of the race, then you need to follow these points only. I cannot even begin to tell how I agree with the points you have made. We truly are grateful to have access to such knowledge freely. Will read the other articles which have been tagged. Keep up the good work.